Why We Love the Cold Shoulder Blouse Designs? Most brides would want something traditional that belongs to their culture but along with that it should be elegant as well. For such brides a perfect gown should be an amalgamation of tradition and modern. 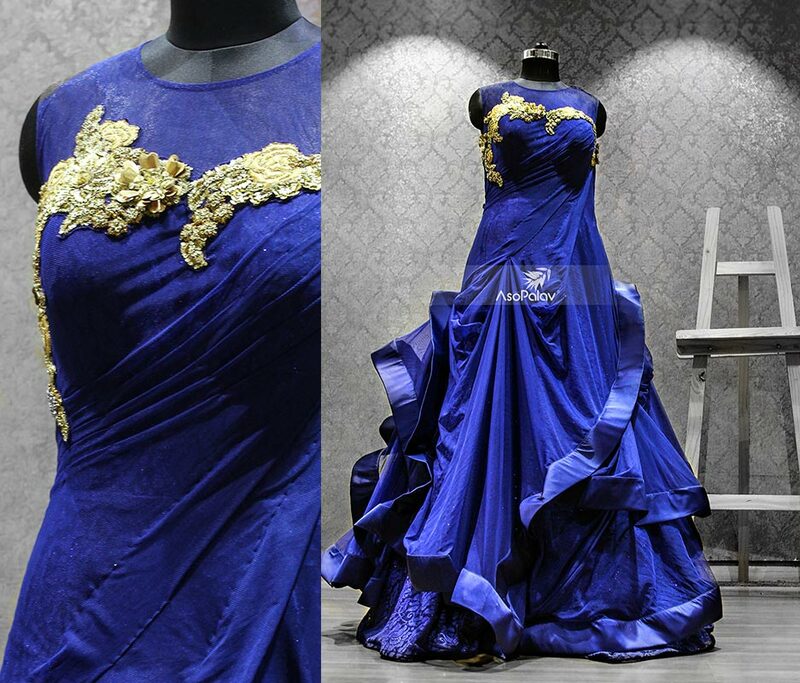 You can pick a classy gown with an Indian touch to it with conventional embroidery and designing. Choosing a bright colour would also be a good option because then nobody will be able to take their eyes off the beautiful bride. You would also need less jewellery with a wedding gown because it would be amazing in itself that you won’t have to accessorize much. Another option is to choose a royal kind of attire for your reception by picking a gown in velvet or silk fabric. This will give a graceful look and in this case you should go for some zari work on the gown to adopt absolutely regal attire. There are various styles available in these gowns like fish cut, mermaid gown, flared and many others. You can select the style according to your idea of fashion and your comfort level. The most recommended brand for Indian ethnic wear and designer wedding & bridal wear in Gujarat, Asopalav is a 40+ years old market leader, synonymous with great quality fashion, inimitable style and unique craftsmanship. Asopalav is one of the most trustworthy names, when it comes to bespoke bridal and wedding ensembles. Kallidorah is their sub-brand, dedicated to creating princely wedding stories with its hand-crafted, stunning designer creations.